Predominantly known for their high winds, torrential rains, and flooding, hurricanes wreak havoc on the cities and states that pass through. While hurricanes bring with them billions of dollars in damage from their strong winds and rain, they also demolish our carefully engineered wastewater systems. With damaged wastewater systems, storm surge flooding becomes much more dangerous, for it poses even larger health risks to the affected towns. 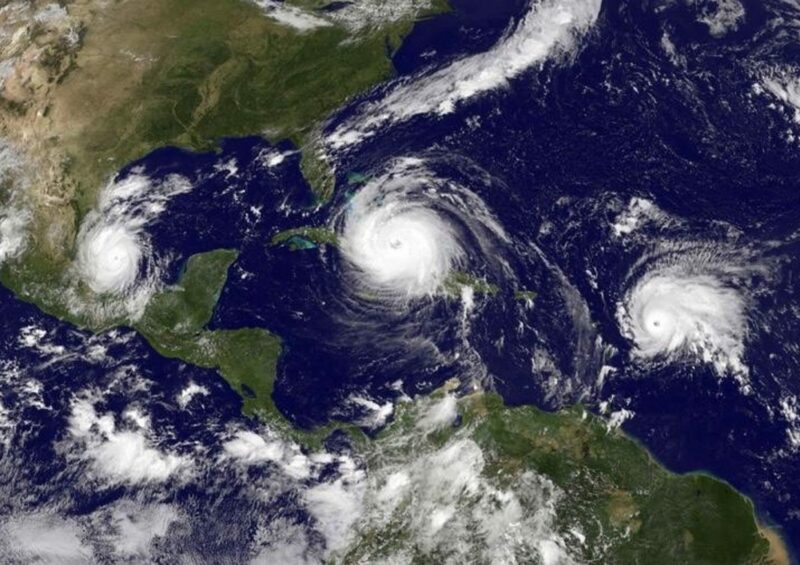 As we are in the midst of hurricane season, it’s essential for wastewater management officials within common hurricane zones to take appropriate measure to prepare facilities for the onslaught of wind and rain–even though we are at the mercy of the storm’s strength. Last year’s hurricane season utterly deluged wastewater treatment centers within Florida, Texas, and other areas affected by the relentless storms. Although most pipelines are designed and built to withstand twice the amount of water than usual, last year’s hurricanes completely overran the systems–leading to millions of gallons of untreated water to flow into streets, homes, and coastlines throughout the south. According to Bloomberg, over 500,000 gallons of raw sewage flooded the areas of St. Petersburg and Orlando, and 6 million gallons flooding the coast of Key Biscayne (source). Additionally, the EPA claimed that 40 out of the 1,219 wastewater treatment centers throughout the Houston area were gravely affected by Hurricane Harvey. Even after the recent Hurricane Florence, Camp Lejeune in North Carolina has an estimated 84,000 gallons of sewage running throughout the area. More and more areas throughout North and South Carolina are reporting incidents of wastewater flooding. Raw sewage throughout cities and residential streets can cause a slew of health problems if it’s not quickly eradicated. Wastewater carries countless strains of bacteria that can lead to various illnesses and in extreme cases, death. Houston experienced an E. coli outbreak that was found to be 135 times the level considered safe. Additionally, various pesticides and pollutants were also found throughout Texas and Florida post-hurricane. EPA officials claim that practicing proper mitigation options is one of the best ways to fight off flooding during hurricanes. Strong barriers, backup generators, and elevated electrical equipment could make a major difference in a wastewater facility’s ability to stand strong during unfavorable weather.